For many people, the concept of prairies in Alabama is nearly as foreign an idea as oceans in Iowa, yet there is more truth to the notion than most realize, especially in the surrounding environs of Cahawba. At the time of European settlement, perhaps as many as 1,000 square miles of what is now Alabama was tallgrass prairie, extending in an arc from Phenix City to Cahawba to Livingston above a deep layer of chalk commonly referred to as Selma Chalk. This thin strip of land, the Black Belt, is distinctive because of its dark chalky soil. It is just one more historical irony that the great initial fertility of these prairies in and around Cahawba attracted the first settlers as well as — in a peculiar way — contributed to the town’s eventual decline. One could argue that Cahawba was both made and unmade by its prairies. And by man’s greed. For example, while the raw environmental resources of the lands around Cahawba consisted of the rivers, swamps, bottomlands and prairies, the Black Belt Prairie supplied the foundation for the agriculture that would help build the young state. The prairies were home to a great variety of plant life, many species of which were typically found hundreds of trifles away in places such as the great grasslands of the Midwest. Indeed, during the Ice Age, Black Belt Prairies may have served as refuge for the tallgrass prairies of the west, preserving species of grasses and wildflowers that otherwise would have been lost to the changing environment. 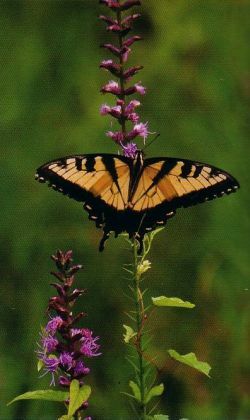 Little Bluestein, Yellow Indiangrass, White Prairie-clover, Scaly Blazingstar — the Black Belt Prairie was a defining feature of Cahawba’s natural landscape. The first European arrivals to the area remarked in letters and newspapers of the fertile prairie lands around the capital. “These extensive prairies, “natural meadows,” “timbered prairie land” or “Prairie Plantations” as they were often called were, to Cahawba’s residents, the essential positive definition of their environment. The prairies were the “healthiest part of the state,” and “entirely free from endemic fevers of a southern climate, so much the tenor of our northern friends.” In land advertisements from the 1850s in Selma and Cahawba, the term “excellent prairie land” is virtually synonymous with quality cotton land and denotes in no uncertain terms, that prairie is the most desirable land for forming. What settlers usually called “prairie” in Alabama is today given an assortment of names: savanna, glade, canebreak, barren or meadow. 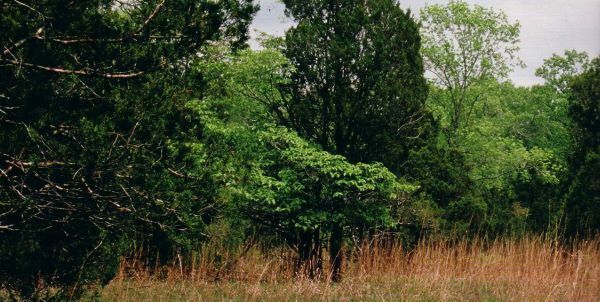 Some of the most common academic terms are “Blackland Prairie,” Black Belt Prairies” or “Tallgrass Prairie.” However one wants to call it, the prairie’s basic unifying feature is a relative absence of large trees. With a topsoil depth ranging from a few inches to a few feet over chalky limestone, the Black Belt Prairies were normally too shallow for anything other than grasses, herbs and shrubs. Still, some characteristic trees such as Eastern Red Cedar, Redbud and Hackberry are able to establish themselves there as the soil depth permits. For millennia, long before the first European and African settlers arrived, the tallgrasses broke down and the top soil and fertility of the Black Belt increased, enabling the area to eventually become the most vital cotton-producing region in the world. Without the prairies, Cahawba would not have produced the cotton, yet the soil would not permanently sustain the mismanaged intensity of cotton farming, leading to a boom-and-bust agricultural cycle not unlike that of a tropical rainforest converted to agriculture. Over-planting and deforestation led inexorably to erosion and loss of soil quality. An economic system created as such would not last. Today, much like the town itself, the grand prairies of Old Cahawba have receded into the mists of history and are no more remnants of their previous glory-estimates suggest that less than one percent of the original Black Belt prairies remain. Often, the prairies that survive are situated on the poorest land, too meager for any competing endeavor. Of course, again, the irony is overwhelming. What was once among the richest counties in the United States is now among the poorest. Land that was once beyond the valuation of most citizens is now literally dirt cheap. Economically poor though the Black Belt may be, there is richness still in the soil almost beyond compare: the few remaining prairies around Old Cahawba harbor a rich biological wealth. Rare plant species such as White Lady’s-slipper, Three-flowered Hawthorn, Great Plains Ladies’-tresses, Nutmeg Hickory, Old Cahawba Rosinweed and others survive because of the remaining Black Belt Prairie here. 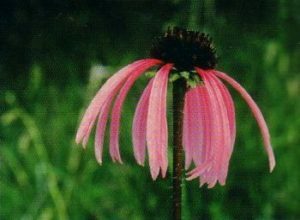 Indeed, today one need took no further than the newly-discovered Old Cahawba Rosinweed to understand that while so much that was no longer remains, there is still plenty to preserve and value; the Old Cahawba Rosinweed is found nowhere else in the world except the prairie of Old Cahawba.